Our quotes are honest and our prices are competative. As one of the top garage door companies in Solano & Contra Costa Counties we bring 18 years experience offering Sameday service calls. Your time is valuable and ours is too, this is why we take pride in being on time and making sure your door is working perfectly. Very impressed with this company, Top Notch Service! A few days ago my garage door refused to close. The top two panels of the roll up door had gone down enough to where it refused to follow the track. I needed a company with past experience and exceptional service. Two neighbors both recommended Door Opener Company so I called (707) 446-7016. It's awesome to have outstanding referrals knowing you don't have to be concerned about the charge or services. I find Larry nice and Pleasant to talk to. His ability to fix garage doors is unmatched. His knowledge in the business really shows. This is my first and highest recommendation for Larry and his guys if you're in search of a fine repair service; you won't be disappointed hiring these guys. We Save Our Customers Money! If you’re looking for door service the fastest method is the internet. Try the search engines first and see if there are any good reviews on local door companies. Here at Door Opener Company we offer replacements and installation at affordable prices. Our service technicians are friendly and courteous and will answer any questions you have. Please call us for help on a project you have in mind or check out our services below. What If My Garage Door Can't Be Fixed? Our factory trained and industry certified installers can fix and replace all types of garage doors and openers. We only sell Liftmaster brand as it offers the best performance for the cost. Man's best friend guards a stuck half way up door as we arrive for service. This was an easy job, just replaced a sensor and lubed all the moving parts for good measure. Door Opener Company is the company to call if you are within Contra Costa or Solano County. This includes replacement, repair, service, and maintenance of not only the garage door, but also the openers, rollers, springs and sensors. They do this for any door, opener, or mechanism from any manufacturer.We have the skilled technitions that can meet your needs. We have been servicing Solano & Contra Costa Counties for over 17 years. 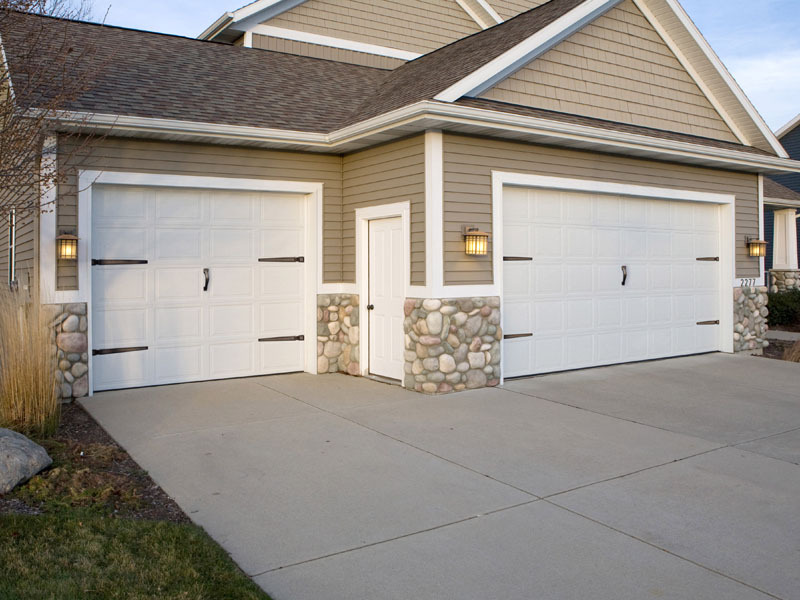 We are the best door service because we have repaired & replaced several garage doors & openers with excellent results. It's a quick job for us to come out and estimate your job and write up a detailed report specifically itemized to make it easy for you to compare with other quotes. If it's a broken torsion spring problem, we will give you a flat rate that we guarantee to beat our competition. Copyright 2016 DOOR OPENER COMPANY. All rights reserved.